There have always been many people in Northern Ireland who do not identify with Orange or Green politics. In the 1960s before the “Troubles” exploded the Northern Ireland Labour Party represented many of those. There was also support for other labour and left political parties and groups at the time. Unfortunately no broadly-based alternative political party has existed since the 1960’s. We believe that this is the time for a genuine attempt to build a cross community alternative. We are angry about austerity. We are fed up with living in a place where women and LGBT people are denied basic rights. We reject sectarian politics and sectarian politicians. A start has to be made. 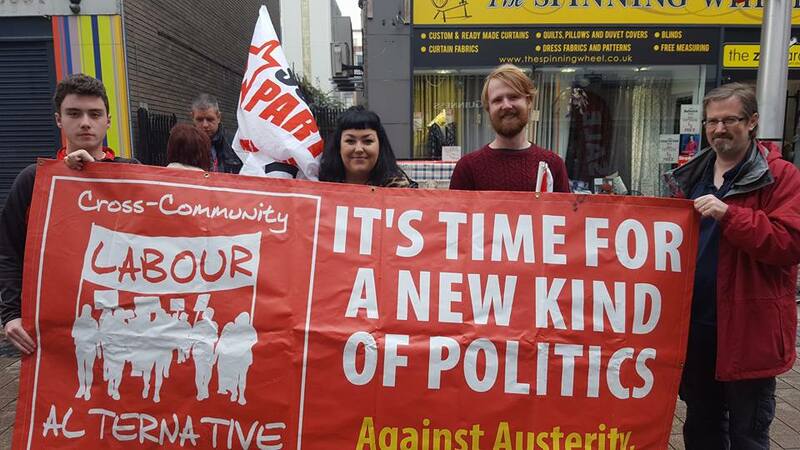 Labour Alternative is a genuine attempt to build support in both communities. We have candidates from both a Protestant and a Catholic background. Our members are trade unionists, socialist activists, LGBT activists and community activists. We support policies which unite ordinary people, not divide them. Labour Alternative respects the aspirations of all but our aspiration is a society where the majority are united in common purpose to overcome division.